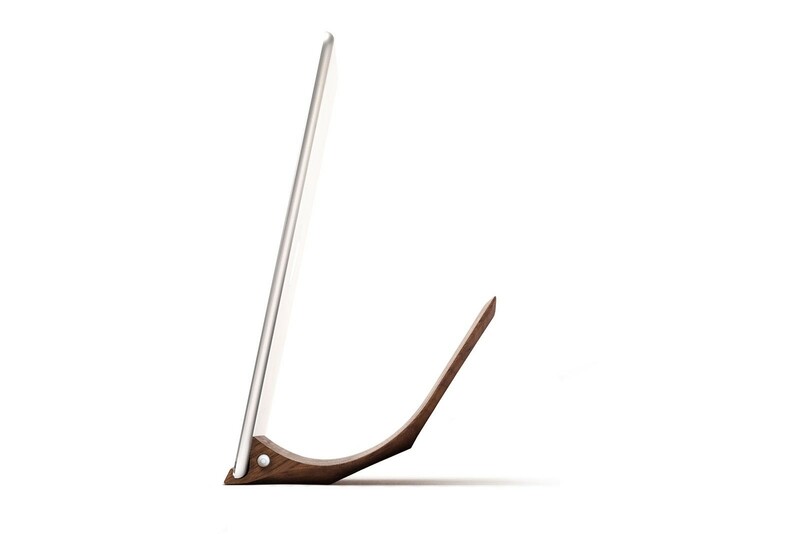 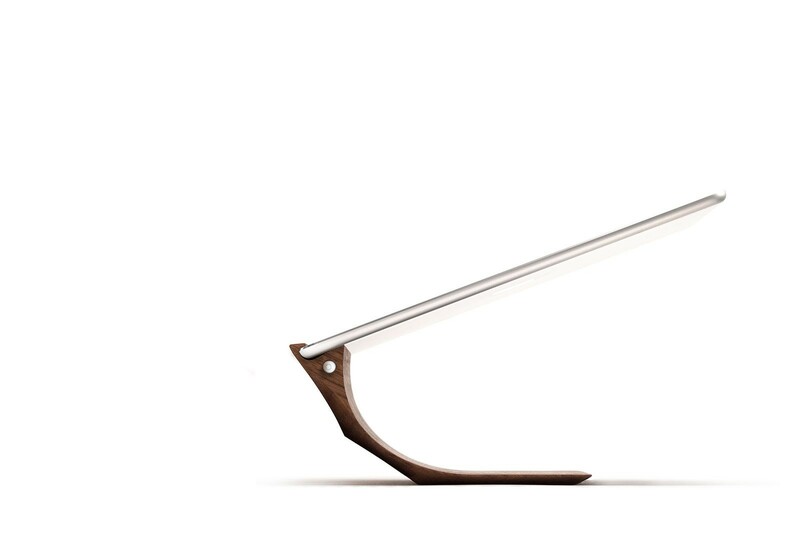 The Yohann tablet stand can be placed in three stable positions, both upright and horizontal. 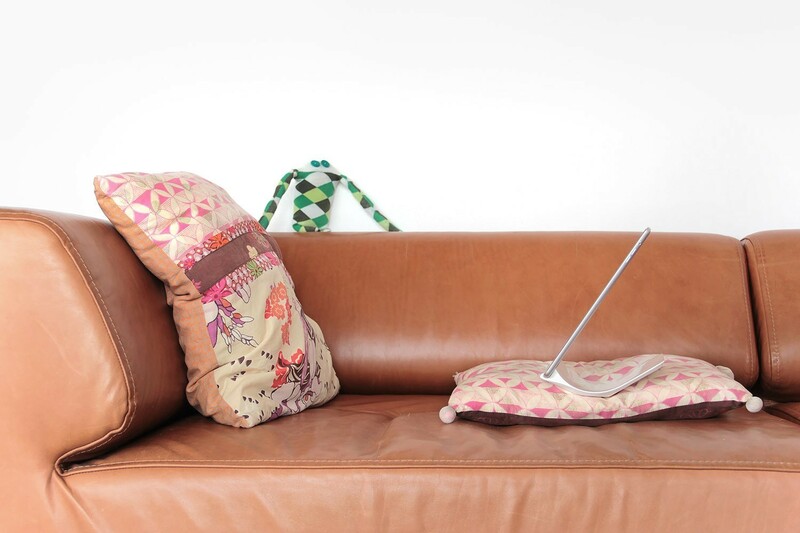 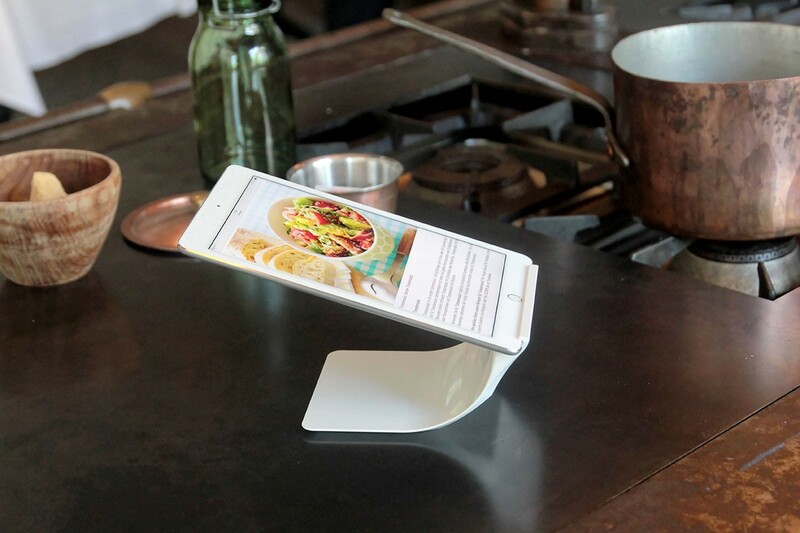 This stand not only keeps your tablet stable on a table, but also on your lap or in the sofa. 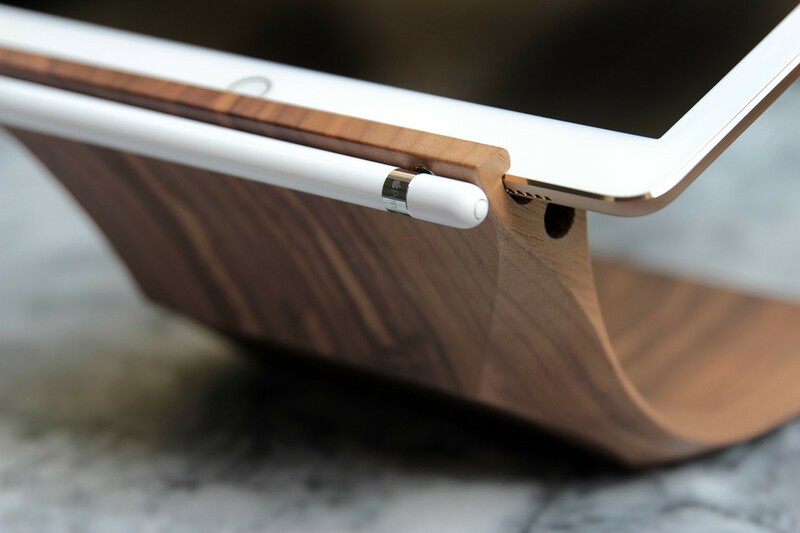 There is an opening at the bottom of the holder so you can always charge the tablet while keeping great sound quality. 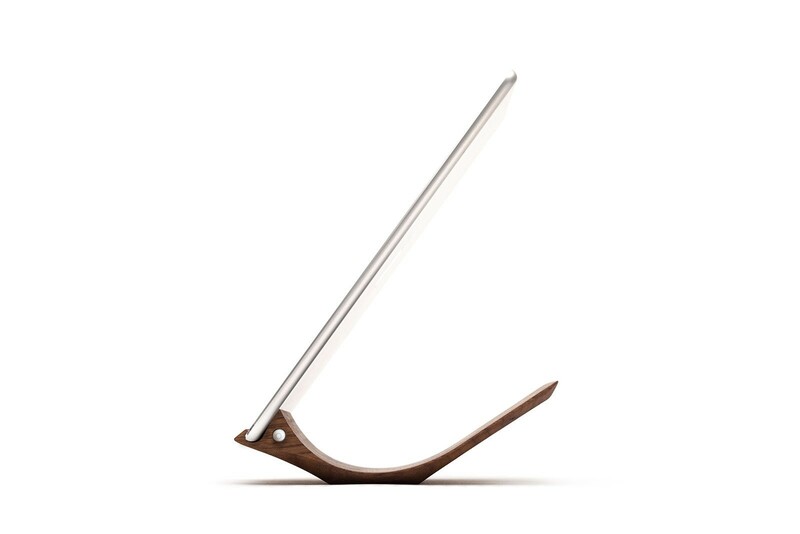 This tablet stand is available in solid oak and walnut or with a black or white high gloss finish. The holder comes with three different adapters. 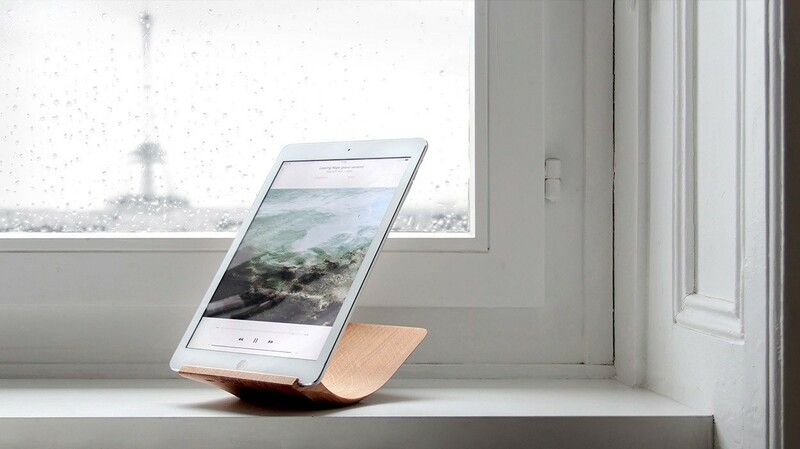 Samsung Galaxy Tab A 9.7 "
Galaxy Tab S2 9.7 "
The stand can also be used for the iPad Mini in horizontal position.